On arrival at Bangkok’s Suvarnabhumi International airport, we were a little apprehensive, as we had an email confirmation saying someone would meet us off the plane, but having travelled all the way from the UK on purely that assumption, our worries were quickly dissolved as a smiling host holding a Soneva sign was there to greet us as we made our way up the jet bridge. Quickly taking our hand luggage from us, he whisked us away through security and immigration in a matter of minutes. No sooner had we got our bearings and realised we had bypassed lengthy immigration queues, we arrived in the baggage hall, waiting just a few moments for our bags to arrive on the carousel. The transfer service is almost a must for every passenger arriving, and whilst seemingly little pricey, when adding all the other costs together, it really is the most affordable way of getting to Koh Kood, the remote island closer to Cambodia than it’s native Thailand. Our host wouldn’t take no for an answer as he took our bags from the belt and loaded them onto a cart. Following his speedy pace, looking at each other in disbelief, we were led to a top of the range BMW 7 series car, with its very own driver, top to toe in a white uniform that wouldn’t have been out of place in Top Gun. “I have turned on the wi-fi for you, and here are your cold towels” say our driver as our airport host says goodbye, saying reassuringly, that his colleague will meet us at the other airport. 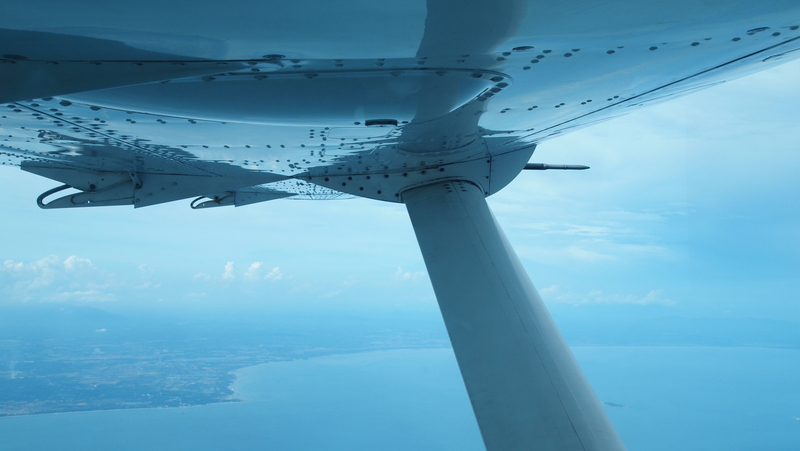 The hotel has a fleet of two private Cessna Caravan aircraft that whisk you across on one of their 3 daily flights to the hotel’s private airport some 90minutes south of Bangkok. For the trip, you are escorted to Bangkok’s older airport, Don Mueang, some 30 minutes from the modern and impressive main Bangkok airport. 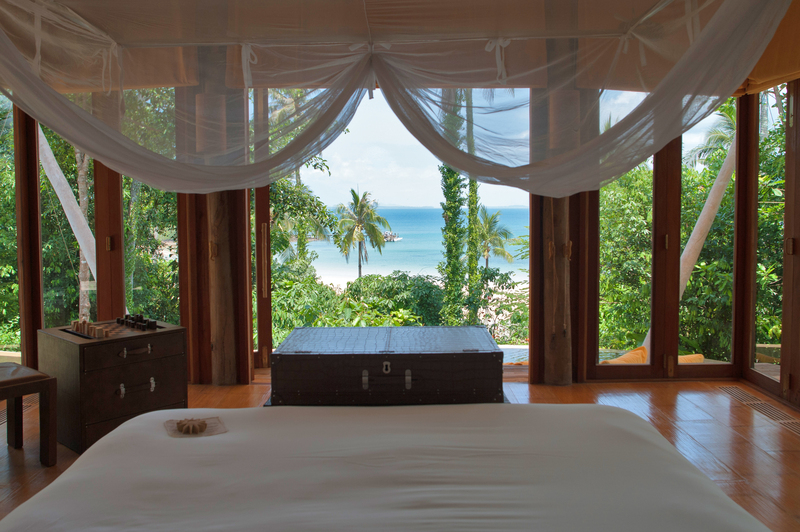 On arrival in Don Meuang, our luggage is taken out of our car by another Soneva representative, and our luggage wasn’t to be seen again until we checked into our room. Escorted through the terminal, the check in staff warmly stated that they had moved us onto the earlier flight, as we had managed to make the connection early, so with a short wait in the terminal, we were then taken to our aircraft, with a few other passengers headed to the hotel. The aircraft was where our holiday truly began. As the propeller rotated into life, and the noise filled the cabin, we felt our shackles of modern day life fall off us. As we took off, we saw the metropolis of Bangkok whisk under us, soon to be replaced by rice fields and then the deep blue of the Gulf of Thailand. Just over an hour later, as we started our decent, we started to see Koh Kood in front of us, and Koh Mai Si, the tiny island to the north west which had been nicknamed ‘Soneva Kiri Airport’. 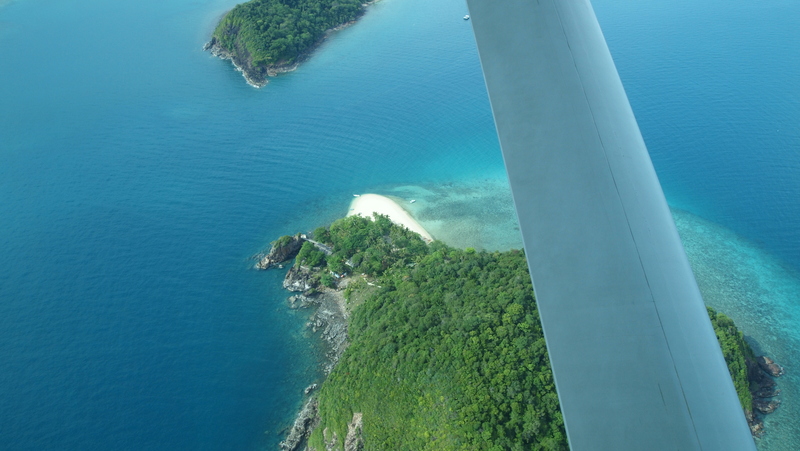 The dirt strip that runs across this tiny island like a scar suddenly became evident as we turned over the resort and dived down onto the runway. It was stepping off the plane, you suddenly realised you had entered into a magical place where time moved a lot slower. Bare-footed hosts dressed in white linen shorts and shirts greeted you off the plane, taking your hand luggage and stowing it on an electric buggy. Waving goodbye to the captain, we were driven past the terminal (a shack with a few comfy seats and pillows) and across the runway and down a path leading to a jetty. Here a beautiful launch and its crew greeted us. The speedboat roared into life and took us across the channel between the smaller island and Koh Kood, and within 2 minutes we were slowly pulling into the jetty at Soneva Kiri, where yet more relaxed staff greeted us. 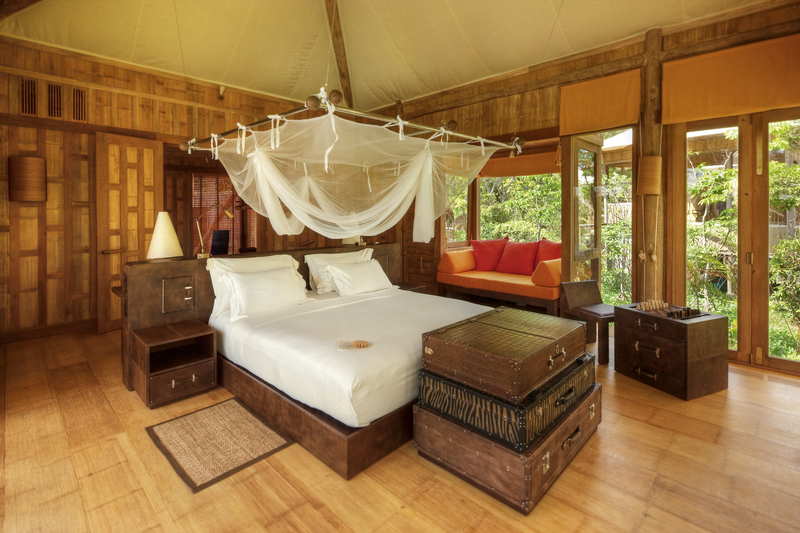 Soneva Kiri is a magical place with an equally magical entrance. 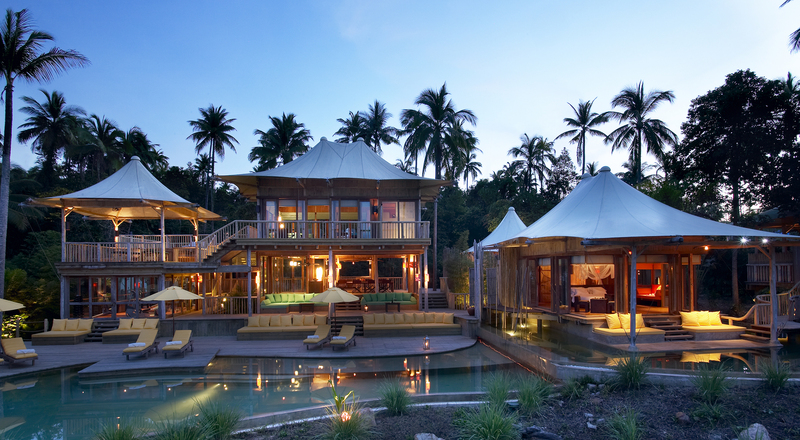 The whole theatre of the arrival, whilst necessary, is the perfect piecemeal way of shedding off any concept of how near or far you are to civilisation, and it is the ethos of Soneva Kiri to keep you away from the rest of the world for your entire stay. They adopted many years ago, a ‘No news, no shoes’ policy, and at first, whilst hard to embrace, by the time you leave, you’ve forgotten how to tie a shoe lace. One of the many elements that make this resort so special and effortless is your host. Ours, Amp, became a friend to us as we left, and nothing was too big or small a request. She showed us the main areas of the resort, which appear half skate-park, half Robinson Crusoe at first. 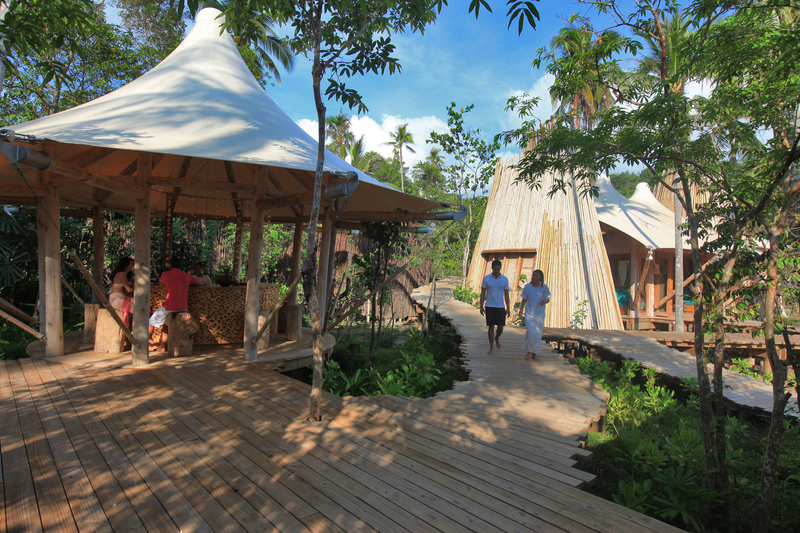 Wooden decks run everywhere, the whole resort seemingly supported on wooden stilts in the midst of a rainforest. After getting our bearings, she introduced us to our very own electric buggy – which we could drive, (and needed to) to get us around the mammoth resort footprint. 36 villas are spread across acres upon acres on untouched forest, and manicured gardens. Our villa, 11, was a 1 bedroom sea front villa, and whilst vast in size (and we mean vast) paled in comparison to the 5 and 6 bedroom villas that the resort also has. Our villa whilst a conventional layout, with pool towards the sea, bedroom behind the pool and bathroom situated behind that, was ‘pimped’ to include three showers, an outdoor dining area with its own coffee machine and fridge, a relaxation area, sun deck, a changing room, his and hers sinks and a private beach accessed by a short walk through the jungle set in front of the villa, every area was epic in proportions. Our bedroom could easily have accommodated 6-8 people given the beds to sleep them on. For a cheaper alternative, and just as glorious, head to the cliff top villas. The design is eco-rustic with a few luxury and quirky elements thrown in. When you first arrive, the room looks like a back to basics version of a 5 star hotel. But hidden in luggage trunks at the bottom of the bed is a fold out plasma screen TV. Music is wirelessly played through the entire villa and each room can adjust the volume. For the larger properties, anything from a pool table, a gym to a wine chiller room is at your disposal, and any of the residences (over 3 bedrooms) even have a room for your host to stay in through your entire stay. The hosts, called ‘Fridays’ for obvious reasons, stay with each guest throughout their entire stay, and won’t take a day off until you leave. Whilst sounding cruel, the Friday’s prefer it this way, as they can gather their days off and take a longer vacation to go back to the mainland to visit family. They are also given transport on the hotel airplane if there are seats available, so they really are looked after well. You can tell. 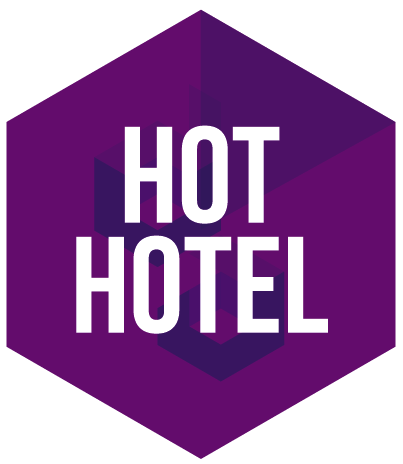 Most of the 300 something staff have been there since the start that we spoke to, and the hotel has a fairly low staff turnover rate. Given the opportunity to explore, we took a leisurely spin around the resort. 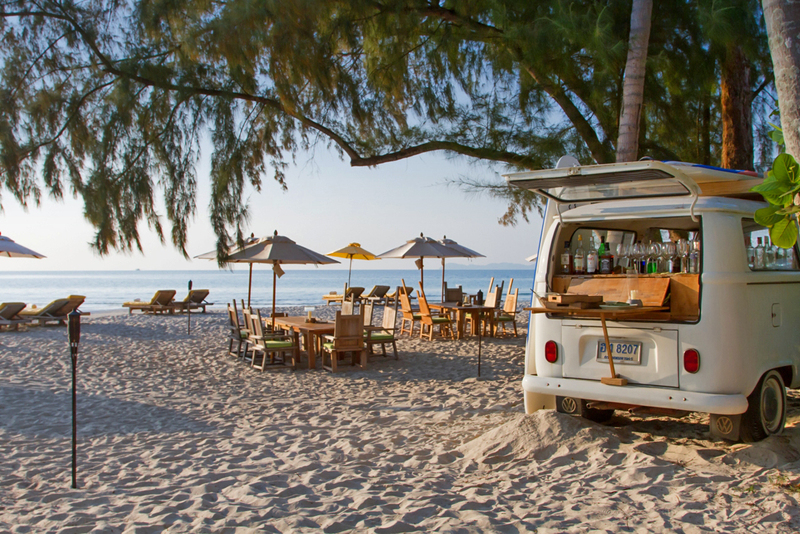 At the most southerly point, it features a remote beach club, in which is situated one of the restaurants, which offers great beach-bar-favourites during the day, and in the evening, the small camper van which has made it’s home in the sand, turns into a beach bar, offering drinks on the complimentary meet-the-management evenings. The beach itself is pristine, and when we were down there, we hardly ever saw another soul. Naturally a raft of water sport options is at your disposal. A fairly lengthy and buggy-straining trek back to the main resort area takes you past ‘The View’ and its bar ‘So Spiritual’. The View is the ‘fine dining restaurant’ which still promotes casual linen attire from its guests. 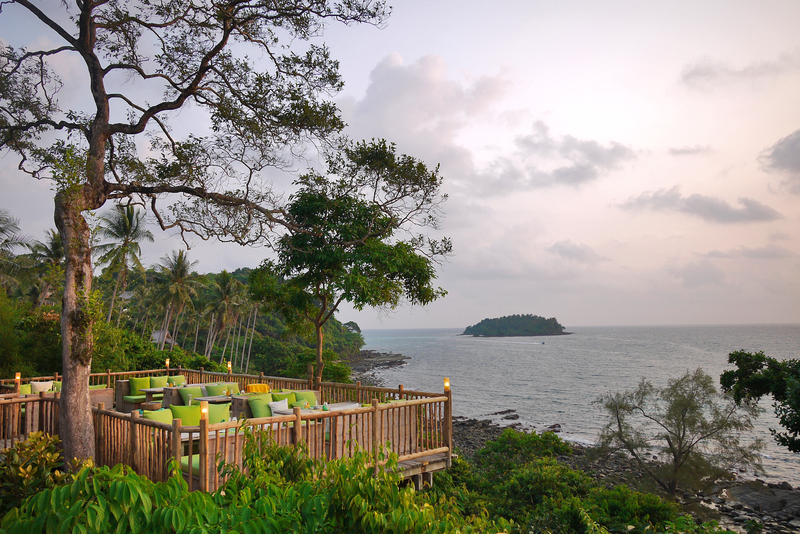 Its the perfect place to watch the sun go down and enjoy a more European style cuisine. The design of the restaurant is perfect, a covered (yet still open to the elements) area which has a few tables and sunken finishing kitchen for a bit of theatre, but naturally on a perfect evening, all the guests head to the two wooden balconies on the cliff side to enjoy the noise of the ocean and view of the setting sun and rich cosmos above as the light fades. Our top tip is definitely to get there earlier than you think, to really get the most from The View. And on certain days, there is even better reason. 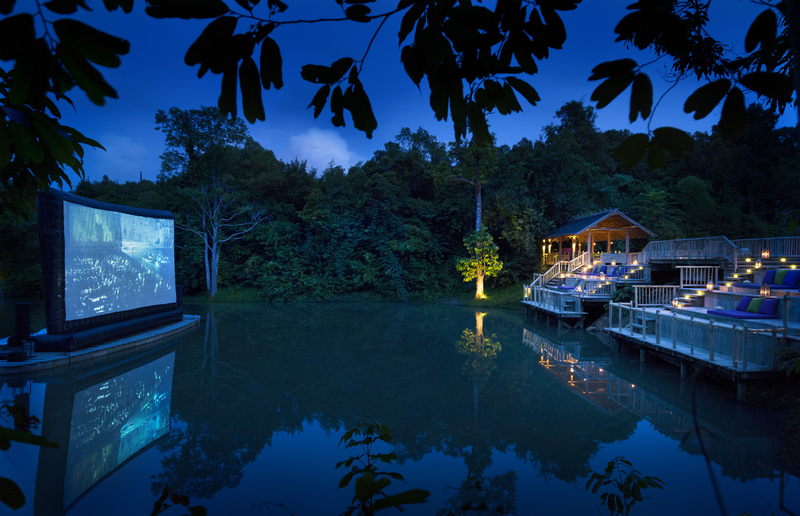 Driving back to the resort a little more you pass Cinema Paradiso, the resorts outdoor cinema, which has two showings at 7pm and 9.30pm. The first showing is a family film for the little ones, and the evening offers a mix of classics, and modern releases. One night, unable to finish a bottle of wine at The View, before we had even left, the bottle was whisked by the staff to a day-bed in front of the cinema screen, whereby on arrival we finished the bottle with some freshly made popcorn, watching Casablanca as a thunderstorm played off in the distance. 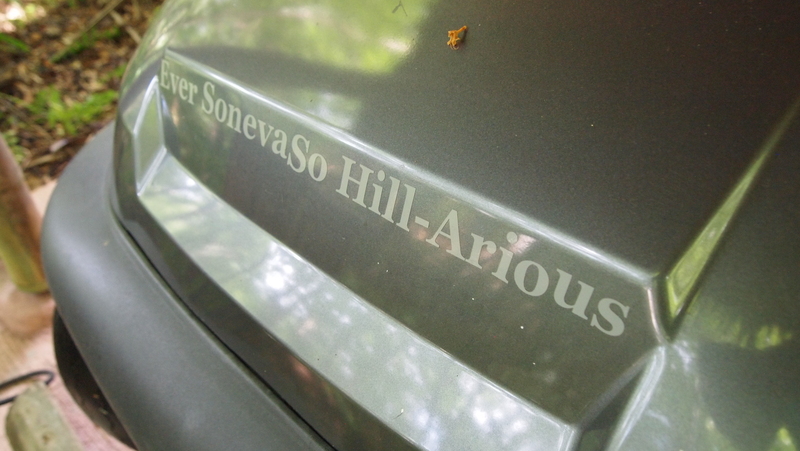 Really quite special! However, for the grown ups, the choice of activities is fundamentally non-exhaustive. The six senses spa in the middle of the resort is perfect for both men and women, with a range of spa services that will delight and amaze, there is also a fully stocked and impressive gym, steam and sauna rooms, and a variety of visiting practitioners that visit the resort to help across a variety of problems. Whilst we were there we had a holistic specialist, who could do anything from a massage to help you with breathing exercises to reduce stress. If the spa wasn’t to your liking, and you are definitely not a health nut, then perhaps the refrigerated Soneva So Chocoholic room would be more you. Where we are invited to step in at any time of the day to enjoy freshly made artisan chocolates. Too sweet? 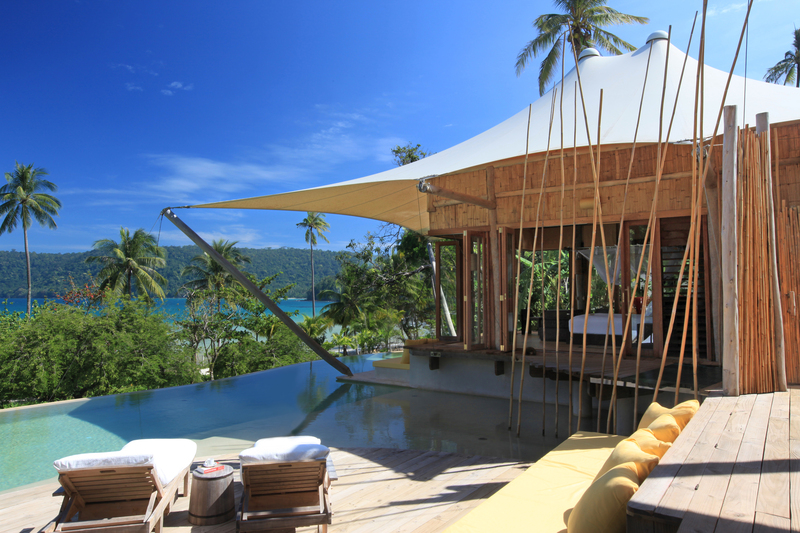 This naughty ‘heaven room’ is only a couple of steps from the Soneva So Chill, which offers 62 flavours of ice-cream, including delights such as ‘Mojito’ and ‘Coconut and Coriander’, or perhaps the more adventurous ‘Cream Cheese and Bacon’. Whilst we aimed to be good, we couldn’t help but go in for a couple of free scoops of cold deliciousness every day. On top of 3 beautiful shops and a residential sales pavilion (yes you can actually buy these villas) there is also a library and work centre if you so wish, and if you really need to work a lot, there is pretty decent wi-fi throughout the resort. 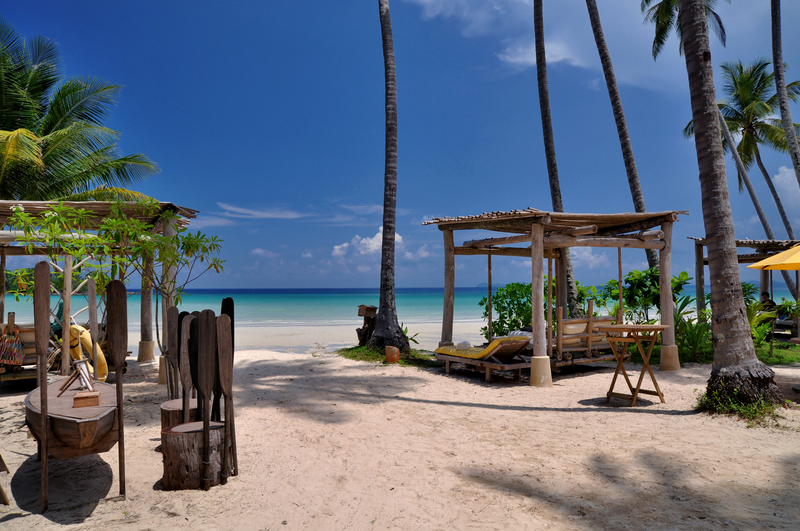 There are also a plethora of day trips you can do too, from learning to cook through to snorkelling and diving in a marine reserve, or taking the Koh Kood discovery trip, all of which we highly recommend. Or, if you want to stay closer to home, why not head up in the tree canopy for breakfast, lunch or dinner utilising the only tree pod dining experience in the world, which is great bit of fun. As for the dining at the resort, well to be honest, you are going to be spoiled, from the amazing spreads on offer at breakfast including fresh young coconut, home made cheeses and sushi, through to eggs any way you like, raw salad bars, juice bars, or anything you can think of that the chef can cook. And even though the range is massive, the food here is exquisite. There are occasional special evenings, such as BBQs and ‘Thai Banquets’ which are equally as (if not more) amazing. Then there is the main pool-side bar that has a cocktail list as long as the island (Koh Kood is the 4th largest island in Thailand, so that’s big!) and it also offers all day dining, from brilliantly made and ‘authentic as they come’ [read spicy] Thai dishes through to western classics. There really isn’t anything on this menu that isn’t delightful to taste. Then the last place we haven’t mentioned, and we’ve left the best till last, is Benz. Khun Benz is a chef that’s worked for Soneva for over 12 years, originally working on Soneva Fushi before coming back to her homeland to set up the most picturesque Thai lagoon diner in the world. 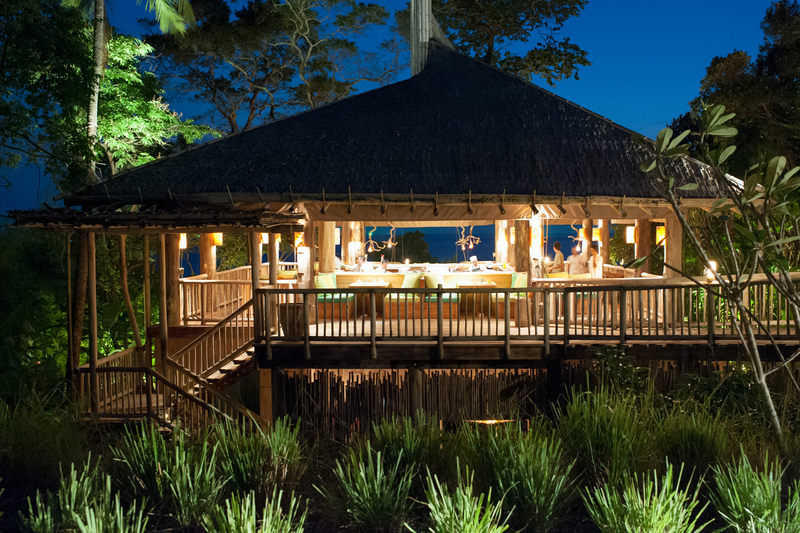 In a very humble setting, the resort has created a restaurant outside of the main complex, off one of the roads of the island. Hidden away in mangroves and accessible by boat on a good evening or air conditioned house car on a bad one, the restaurant looks like the kind of place you would hunt for all your life to get authentic and real thai cuisine. 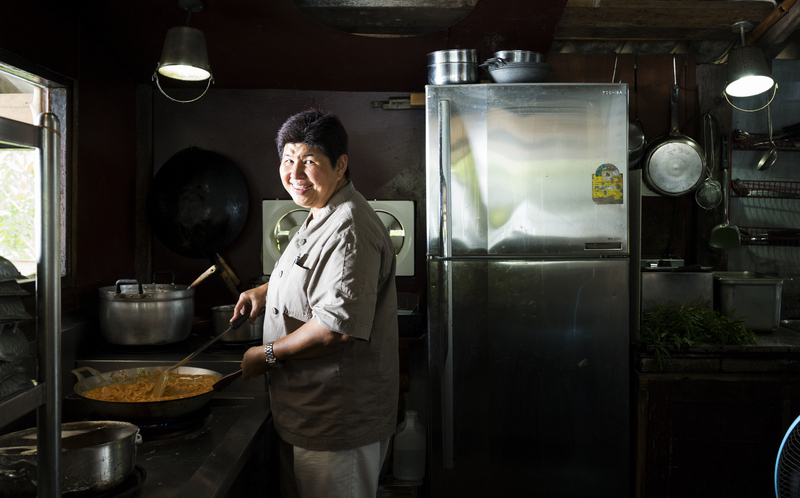 Khun Benz’s dishes are family hand-me downs, and what a family she must have had, as they are a mix of theatre and tastes that are out of the world. This really is a once (or twice in our case) in a lifetime place to dine. Sadly, our time at the resort totalling seven days, was too short, and leaving was being like ripped from paradise. The people make a place, and with such amazing people we made friends with so many of the staff there. The service is effortless, and every time we turned to get something, it was already there. It’s that attention to detail and quite luxurious service that makes this place stand above the crowd, yet is impossible to encapsulate in words. We couldn’t recommend this resort enough, and hope that it continues to thrive, and not only operate as a luxury resort, but continue promoting its SLOWLIFE philosophy. Next time we book, maybe we’ll book the 5 bedroom villa. You know, the one where Brad Pitt and Angelina Jolie stayed! This hotel is pure luxury!